I’ve been spending my downtime thinking about how to address what we don’t know into a philosophical framework that is also useful for updating physical theory. I’m a proponent that our own human interpretation of our senses has moulded our brains to think in a way that is detrimental to understanding the nature of the universe. By doing so it appears I’m in conflict with Einstein’s own philosophy for physical theory. General Relativity - Einstein’s capstone achievement - gave mathematicians an elegant physical theory that did not require any special “ether”. In simple words, we weren’t vegetables floating in a creamy soup but instead the soup did not exist and the vegetables would bend time around them. 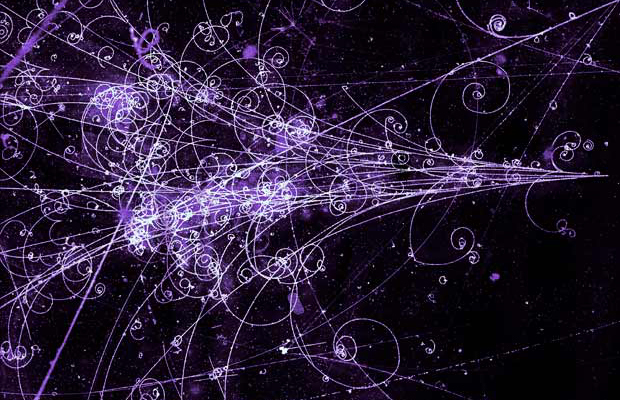 However, the more I read into quantum theory and understand Feynman diagrams and virtual particles, the more that I realize that the vacuum of space has a lot more going on than what’s possible to observe. I would liken our old-school characterization of vacuums to basic arithmetic. Instinctively, we use the number zero as a natural number which is derived from a rich history of counting. Counting was used for testing objects for equality, excess, or shortage. But aren’t all of these concepts important to human survival and not physical nature? Hence the concept of Nothingness in physics. Physicists are becoming very familiar with the vacuum of space and its “business” of particles popping in and out of existence. These particles clearly don’t come from nothing - they’re disturbances in fields! And it’s been long theorized that virtual particles can be turned into real particles. I should note there is a very rich history of philosophy concerned with Nothing. Many philosophers have argued that something can’t be created from nothing, and I tend to agree. By criticizing zero/nothing as a byproduct of ancient counting systems, we can also criticize our human experience of time. Human daily lives are characterized as linear. The day has a morning and night. Cars travel from point A to point B. These experiences are not merely linear, they are states in a broader cycle. The earth rotates in a daily cycle. Species are collectively multiple generations with similar DNA. Points A and B are part of a long-term pattern of travel, usually cyclical like the work day. So why is it that when we define the universe, we keep referring to “start” and “end” events such as the Big Bang? Robert Dijkgraaf himself defines an “end” to the universe. While Dijkgraaf’s own research is based on superstring theory, this method of thinking is concerning because it seems to dictate how we interpret theories of physics. And yes, you can’t deny that the Big Bang is the result of astrophysical observation and additional evidence which points to the expansion of the universe. But why aren’t we consistently describing this as part of a cyclical or complex process? It’s important to develop a new way of thinking that is useful to describe relationships that we do not understand or know. If time is not linear, then surely our (current) minds are not capable of grasping the true nature of the universe. How do we imagine a fabric of nature that had no beginning and end? This concept violates all of our human observations from birth until death. We need to develop a methodology that helps us realize abstract concepts. M-theory deserves credit for providing a theoritical framework that looks at the fundamental nature of the universe, and it is unfortunate that the theory requires high levels of energy for testing. Although there’s no experimental evidence to validate M-theory, I do wonder if analogies exist to Alcubierre’s solution. While M-theory is superb that describing a similar physical reality using manifolds, it still begs to question as to what is the “fabric” building all of these concepts. This leads me to suspect there is a more fundamental description of fields which may be described by something such as knots. Perhaps unsurprisingly, knot theory is useful in physics. As recent as 2007 researchers demonstrated a connection between Geometric Langlands correspondence and S-duality, the latter being a property of quantum fields. 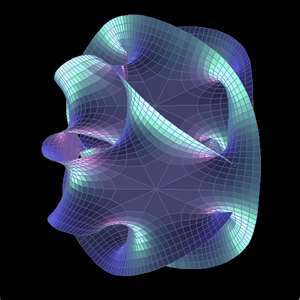 The connection to knots is through (2,0)-theory, a six-dimensional quantum field theory that was also used for a physical explanation of Langlands correspondence. How easy it is to get lost in studying these intricate mathematical relationships. 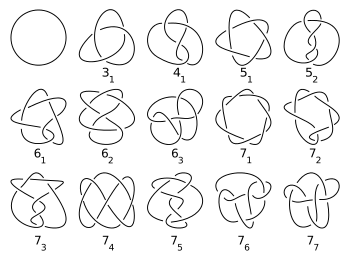 I must return to a basic question: if knots are present in physics, what are the strings? Oh you say the strings are formed through manifolds? Then what is the fabric of the manifold? I would persist in asking these questions until each building block is exhausted.